Sat on the patio, accompanied by the soft melodic chirping of birds, I was transported into chill out mode in an instant at what has become one of my favourite places to stay in Bordeaux. I hadn’t long arrived at Yelloh! Village Saint-Emilion, and I already felt relaxed and ready for my short break in the French countryside. 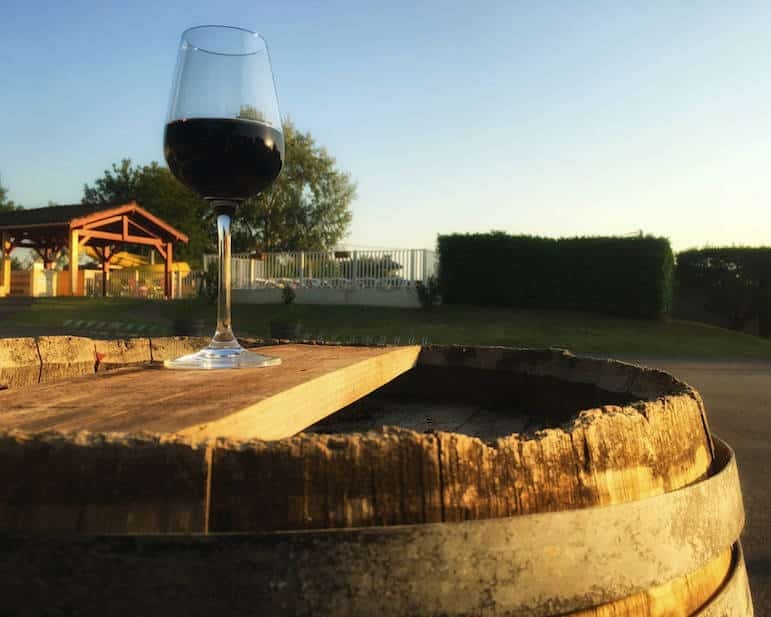 Saint-Emilion is just one hour from the city of Bordeaux in south-west France and combined with regular flights from the UK, it’s a convenient option for a long weekend wine break or a longer escape. Yelloh! 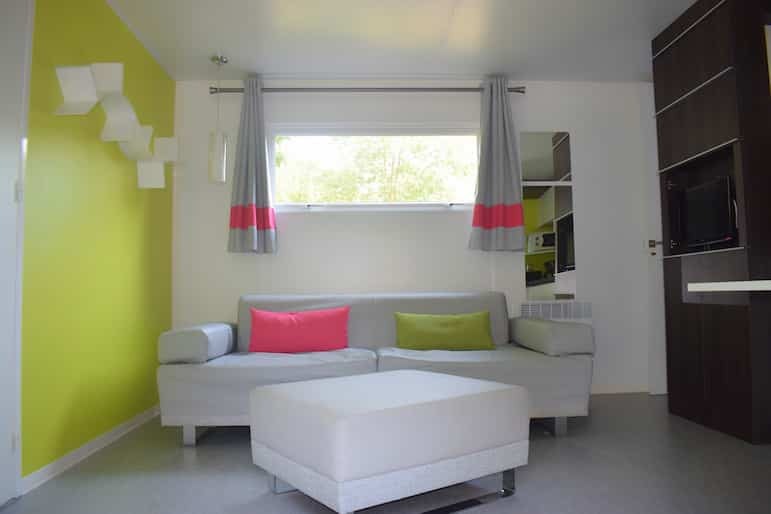 Village Saint-Emilion may be a campsite, with pitches for tents and caravans, but it also has some stylish options for affordable luxury travellers. 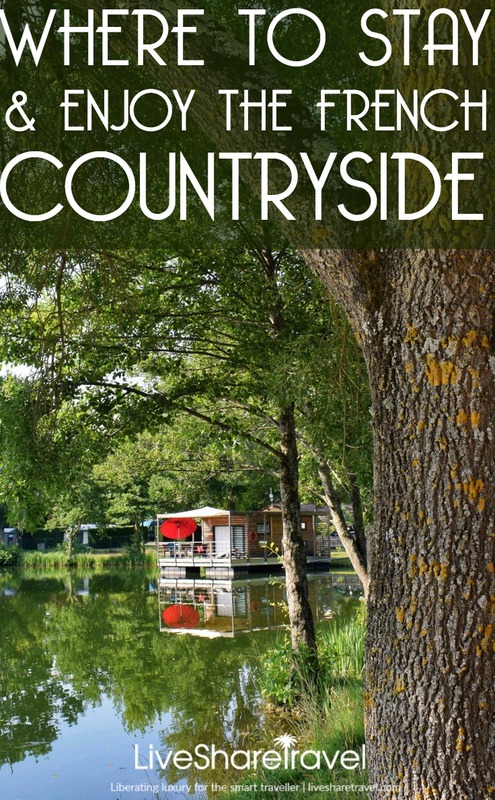 And with a lakeside setting amid acres of neighbouring vineyards, it allows you to slow down, and enjoy a slice of French life. Here are five reasons why you should consider luxe camping with Yelloh! 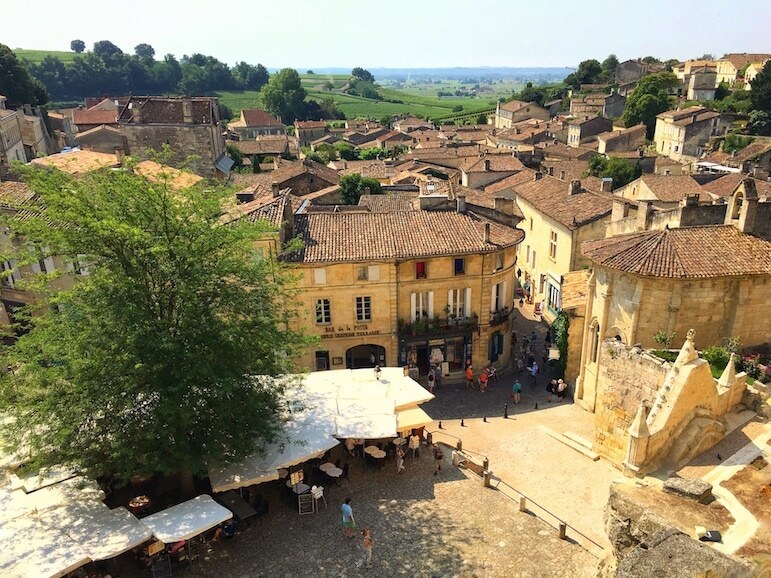 Village Saint-Emilion for your next adventure in France, and we also dispel some of the common myths about camping. If you want pure relaxation or a little more action, the resort allows you to choose how you rest or play. I was blessed with glorious weather during my trip, so I had lots of options. 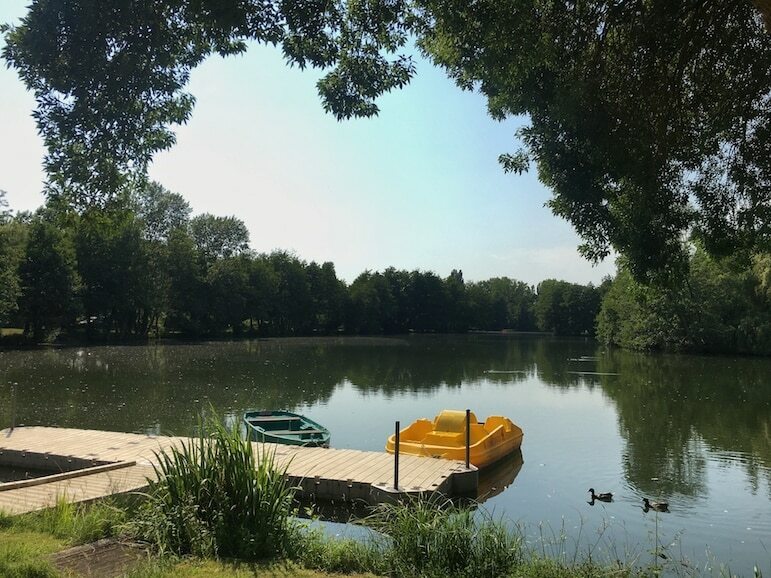 You can enjoy a dip in one of two swimming pools, take a boat out onto the lake to explore the wilds, hire a bike or go-kart, plus join in onsite activities from exercise sessions to family-friendly competitions. One morning I chose the simple pleasure of chilling out on my patio reading a book, surrounded by woodland, and the odd two-winged visitor for company. But on my second day, I decided to get a little more active. I took an early morning walk around the lake, then a boat across it to admire the sunrise and revel in the quiet before the resort started to wake. With most activities free to enjoy whenever I pleased, it was a joy having the flexibility to holiday my own way, enjoying as little or as much as I cared for. Despite it being June and the resort being fully booked, it never felt crowded, which meant I could fully enjoy my relaxing break. This complete freedom and flexibility added a little bit extra to the whole experience. In the evenings there was a DJ on hand to entertain guests at the resort. After a full day exploring Saint-Emilion, I enjoyed singing along with a glass of local merlot in hand – a 2011 Saint-Emilion Gaia – the resort’s wine of the moment. The resort is just a 40-minute walk from the centre of Saint-Emilion, so it’s not too far if you wish to explore on foot. What’s more, I passed numerous chateaux on my walk into the village so even more reason to lose the car. The resort also offers a shuttle bus service at 10am and 2pm with return services at 2pm or 6pm allowing you to spend an ample half- or full-day in the village. I mistakenly assumed that all campsites were miles from key points of interest and impossible to get to, but the shuttle service surprised me, especially with decent departure times too. I would definitely recommend you consider a bit of vineyard hopping to sample the region’s finest grape varieties and break the walk up, before a bit of sightseeing and a late lunch in Saint-Emilion. 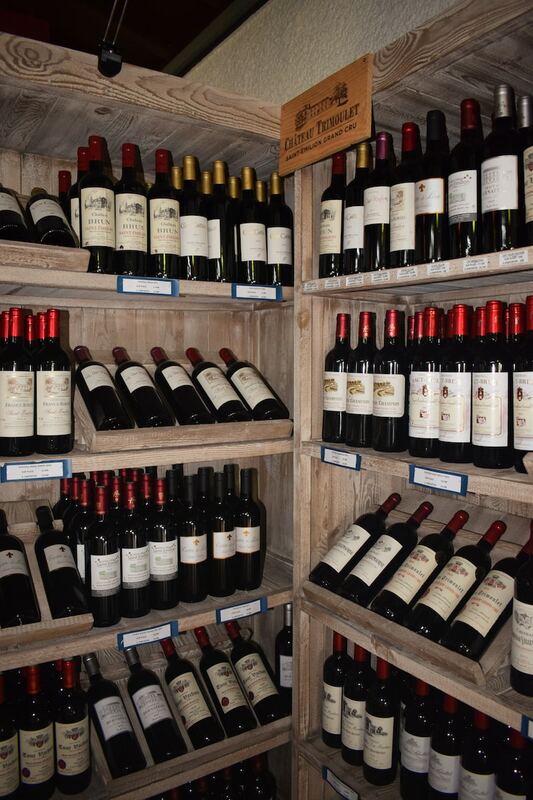 Look out for our post on things to see and do in Saint-Emilion – coming soon. With a well-stocked grocery store, bar, restaurant and laundry facilities, I loved the flexibility of being able to cook or eat out as I pleased. In the morning I could pick up fresh bread and jam from the grocery store (well, when in France) and during the evenings I could stop by to stock up on snacks and drinks. Plus the laundry service meant I could save more space in my case for wine and macarons – which you soon discover are non-negotiable essentials that you must take home. The bright and modern décor immediately changed my perception based on cramped camping quarters I have experienced over the years. I thought I would need to live out of my suitcase for the few days I was there, but the clever storage had the bedrooms, kitchen and bathroom very well organised. It made life so much easier and gave the feeling of plenty of space – plenty for a family of four. The tall fridge freezer was perfect for storing all the food and drink essentials, my morning shower was joyfully powerful, and the in-room safe great for peace of mind as I ventured out in the day. The open-plan kitchen and lounge were a good size, and I imagine ideal for cooking and entertaining in unison. What’s more, the kitchen was equipped with all the essentials from a can opener and plates to a corkscrew and wine glasses. But if you want to ramp up the luxury factor a little more, the resort also has a houseboat on the lake to add scenic views and even more space to proceedings. The peaceful woodland surroundings and birdsong allowed me to escape from the everyday world, which was rather novel following a few hectic weeks of work. My new winged companions were like nature’s own wake-up call, and as I gently rose from my slumber each morning, I felt refreshed and raring to go for a day of adventure. With amazingly warm June weather, it was energising to rise early and enjoy a walk around the lake under the shaded canopy of trees and their cool embrace. Meanwhile on and around the lake, resident ducks squawked at inquisitive ducklings if they dared to get too close. 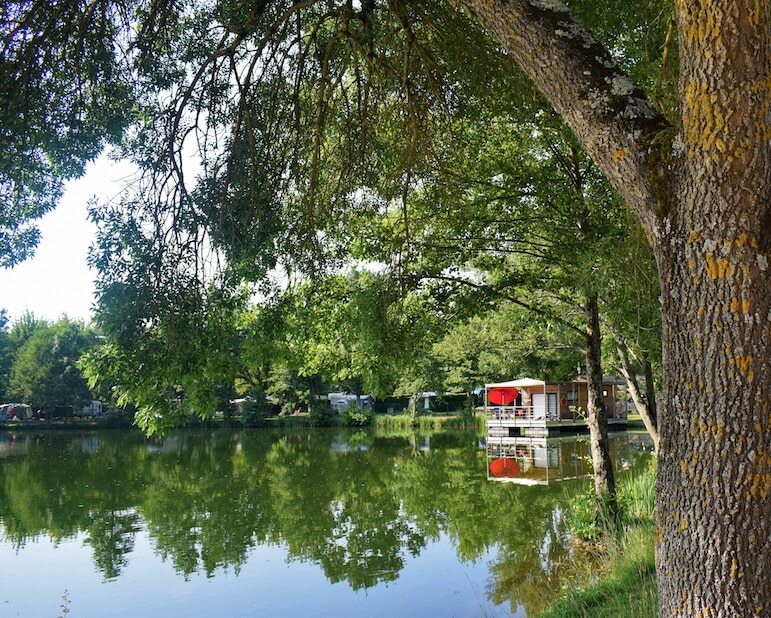 As they sauntered away, I realised that no matter how you holiday – in a tent, cottage or houseboat, they all offer exactly the same opportunities to experience nature at its best. Premium cottages for four at Yelloh! 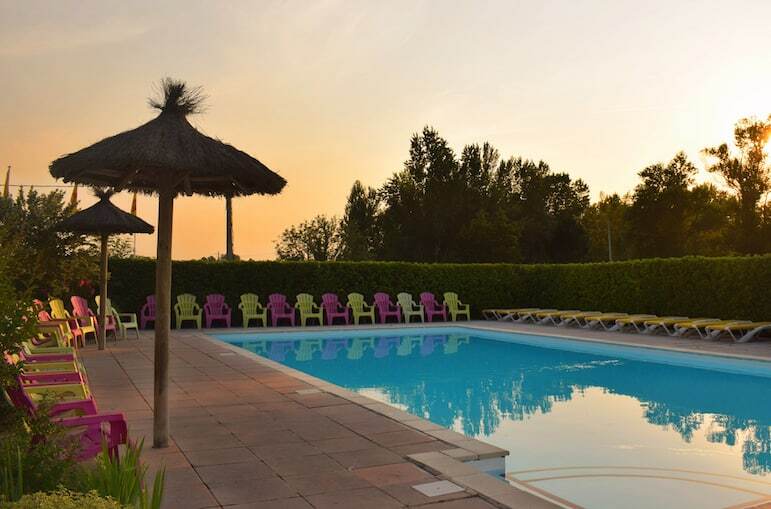 Village range from €152 for a two-night break to €483 for a one-week stay in September, so it’s one of few incredibly affordable places to stay in Bordeaux wine region. And after all – who wouldn’t want to save plenty of spending money for those high-end wines the area is renowned for. See more of our favourite wine regions from France to Italy, Spain, and South Africa and more, and discover more great places to stay at in each.